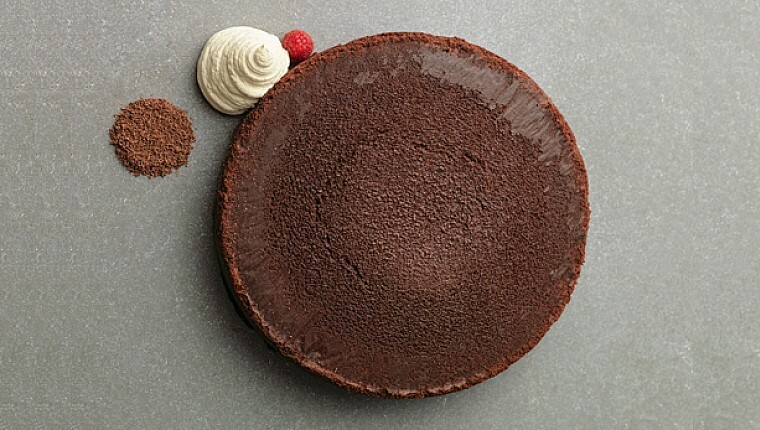 This chocolate cake recipe is from Michelin-starred chef and MS Society supporter, Tom Kerridge. MS Society is one of the National Garden Scheme’s guest beneficiaries, and in the last two years, we’ve donated over £230,000 to the charity. The MS Society is the leading UK charity for people with MS – fighting for better care and treatments, and providing support and grants to help people with MS deal with the daily challenges of the condition. This is the easiest chocolate cake you’ll ever make and will stay soft and moist for days. Perfect for your gluten-free friends! 1) Preheat the oven to 140°C/Fan 120°C/Gas. Lightly grease a 23cm springform cake tin with butter and line the base and sides with non-stick baking parchment. 2) Put the butter and chocolate into a large, heatproof bowl and place over a saucepan of barely simmering water, making sure the bottom of the bowl is not touching the water. Allow to melt, then stir until smooth. Remove the bowl from the heat and cool slightly. 3) Using a free-standing mixer ﬁtted with the whisk, or an electric hand mixer and bowl, whisk the eggs, egg yolk and sugar together until the mixture is light, ﬂuﬀy and increased in volume. Carefully pour in the melted mixture and fold gently with a spatula to combine, trying not to knock out any air. 4) Pour the cake mixture into the prepared tin. Bake for about 40–45 minutes until set. It will souﬄé up a little and a crust will form on the top. Remove from the oven and leave to cool in the tin – the cake will settle and sink down in the centre. 5) Once it’s cooled, press down and ﬂatten the surface a little with a palette knife – this helps to give it a lovely, soft and gooey texture. Release the sides of the tin and peel away the parchment from the sides of the cake. 6) Invert a serving plate over the top of the cake and turn both over, to release the cake onto the plate. Remove the tin base and the baking parchment. 7) Either serve the cake just as it is, with cream or crème fraîche, or ﬁnish with whipped cream, raspberries, toasted nuts or grated chocolate.